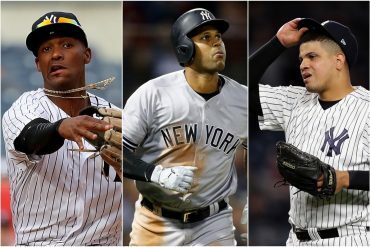 While it wasn’t perfect, the New York Yankees gave their fans a glimmer of the potential this team still has when its premier players are clicking. Taking two of three from the Boston Red Sox, the Yankees held off the AL East clincher for as long as possible. There were some frustrating moments with defensive miscues but the return of Aaron Judge and an elite outing by Luis Severino stabilized things from the standpoint of fans worrying about having to go to Oakland and losing in the AL Wild Card game to possibly vaulting right back to the ALCS for a second consecutive season. While they nearly did their darndest to throw it away, the Yankees held on and otherwise made the Red Sox look rather pedestrian in their 3-2 victory. A morning simulated game and a six-hour postponement were all it took to insert Aaron Judge back into the starting lineup for the first time since July 26. While Judge took a 0-for-4, he did have a couple of solid drive to right, nearly homering in the sixth. It was about a month later than they initially planned but J.A. Happ paid direct dividends against Boston. Happ, who’s pitching to a 2.39 ERA since joining New York, lowered his season ERA to 0.54 against the Bosox. In six frames Happ only yielded one run on four hits and three walks, fanning six. Only shoddy defense via a passed ball by Gary Sanchez in the third inning, which enabled J.D. Martinez to plate Ian Kinsler on a sacrifice fly, would place a blemish on his outing. Happ pitched his guts out, exiting a first and third, one-out situation unscathed during the sixth to close out his evening. I’ll gladly eat my words after Sunday, manager Aaron Boone made the correct call by starting Neil Walker at first base Tuesday evening. 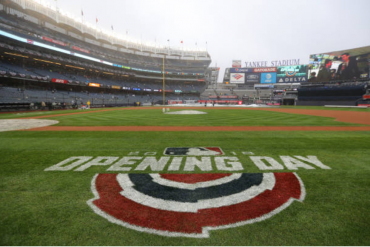 Following walks from Aaron Hicks and Sanchez, Walker slugged a one-out, full count slider from Ryan Brasier, into the second deck in right-field, providing the Bronx Bombers with a 3-1 lead in the seventh inning. Walker’s tenth home run of the campaign gave the Yankees a record-tying 11 players with double-digit home runs on the season. While a well-rested bullpen between Chad Green, David Robertson and Zach Britton looked sharp, the defense was baffling. Robertson was able to pitch around a hit to center by Martinez, which Hicks took a bad route to and nonchalantly turned a double into a triple. The ninth was all kinds of fun as well. Adeiny Hechavarria entered on defense for Miguel Andujar at third base and Britton was on the bump. Britton recorded a strikeout of Brandon Phillips for the first out but not before the ball got by Sanchez before he eventually recovered and threw to first to register the out. After a walk to Brock Holt, Christian Vazquez reached on a potential double-play ball, canceled out by a not perfect but good enough to catch a throw from Hechavarria, which Gleyber Torres couldn’t glove and second and was charged with an error. With Sam Travis pinch-hitting for Jackie Bradley Jr. and Tzu-Wei Lin pinch-running for Vazquez, Travis hit a ball back to Britton, which could’ve been another game-ending double-play, was yanked into the outfield by Britton, enabling the runners to reach and Holt to score. Britton would get another chance, getting Kinsler to tap back to him for a double-play, which was also helped by a nice pick by Walker at first base. If Tuesday was the real return of Judge, Wednesday marked the return of the real Luis Severino. Power pitching and plenty of power to the porch all added up to a 10-1 Yankees victory. 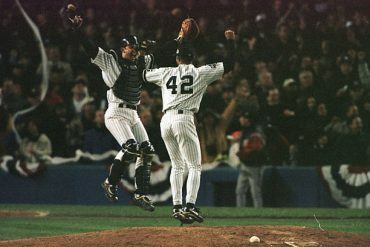 How quickly some bellyaching Red Sox fans forget how earlier in the season Martinez hit an eventual game-winning home run off Dellin Betances, into the short porch in right. Later in the frame, with the bases loaded and two outs, Judge found Eduardo Nunez’ five-hole and the Yankees plated a pair on the E-5. In the fourth frame, Boone was proven correct for the second time in as many games. Luke Voit, smacked a solo shot to right. Voit would boast an impressive evening with a 4-for-4 performance, including a second home run, a wall scraper to right in the sixth. After McCutchen and Judge kept the sixth inning going with a pair of two-out singles off Joe Kelly, Hicks lashed a two-run triple to right. So, we also witnessed Judge hitting and running with full authority again. A Greg Bird groundout and an RBI-single by Hicks in the eighth would cap off the New York offensive onslaught. 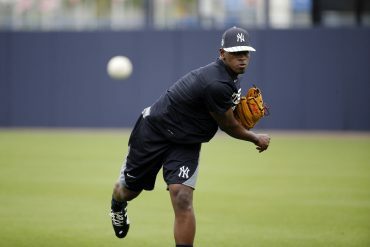 Severino looked like the guy who’s going to take the Yankees to where they gotta go. Displaying an ace performance, Sevy tossed his hat back into the ring for a potential Wild Card starter or a guy you’d certainly be confident in marching out twice if need be in an ALDS. Severino sparkled, firing seven innings of one-run ball, fanning six and allowing six hits. It was definitely a statement start by Severino. Justus Sheffield made his long-anticipated MLB debut, taking over for Jonathan Holder in the ninth inning. Sheffield had the adrenaline pumping but would eventually settle down, pitching out of a bases-loaded jam with a game-ending 6-4-3 double-play. It certainly felt like there were three games played in one, from a standpoint of time and the twists and turns this game took. 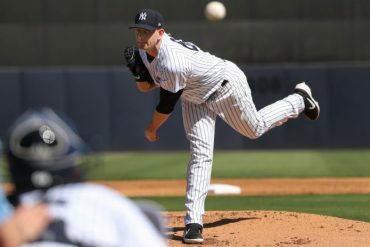 While the Yankees battled with the bats a sloppy ending made for an 11-6 defeat. It was literally a slow and laborious pair of outings from each respective starter. Neither Eduardo Rodriguez nor Masahiro Tanaka went five innings. Tanaka, who was pegged as the Wild Card game starter just a couple of days ago, struggled, giving up a quick run in the first and inexplicably served Betts a fastball on a 0-2 count and paid for it with a two-run single in the second. Even when the Yankees pulled within striking distance, Tanaka served up a solo home run on a fastball to Brock Holt during the third inning. Tanaka was grinding through the fourth but couldn’t record as they pushed him into the fifth. 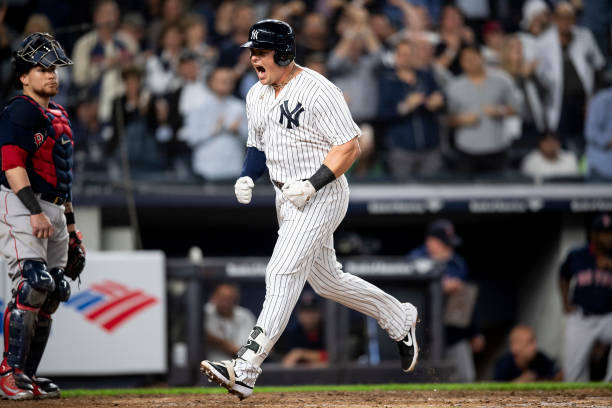 The Yankees were able to pull within one run during the second stanza, as Voit riled up the Stadium with a historic home run. 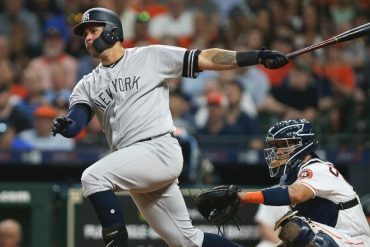 Voit’s two-run tater to center off Rodriguez gave the Yankees an MLB-record with 12 players having double-digit home runs and it broke the single-season franchise mark with 245 team home runs. Luke Voit's home run gives the Yankees 12 players with 10+ HR which is a new MLB record. After two quick outs in the fourth frame, the Yankees went to work on Rodriguez and the Boston bullpen. McCutchen, Judge and Hicks coaxed three consecutive free passes, sending Rodriguez to the showers. With Heath Hembree on, Stanton drilled a 0-1 slider into the right-field stands. Stanton’s grand slam provided the Bronx Bombers with a 6-4 advantage. Another cool thing about the home run was the fact that John Sterling’s call made it on the air as he was broadcasting from the WEEI booth. Unfortunately, the Stanton slam would be the final salvo for New York, as Steven Wright and his knuckleball threw off the Bomber bats, setting down eight straight in one stretch of his three scoreless frames. By the time the Red Sox sped it up, the Yankees were in too big of a hole to recalibrate. From the fifth frame, there was some brutal baseball by the pinstripes. I agreed with trying to push Tanaka another inning but he got tagged again by Betts for a double and a single by Andrew Benintendi chased him out. Robertson was able to get a big double-play and a strikeout, preserving the Yankees lead at 6-5. After whiffing the side in the sixth, Green got burned on his third-best pitch in the seventh, surrendering a game-tying solo home run to right to Jackie Bradley Jr. Following a single by Christian Vazquez, Green’s evening was over. Betances was brought on and finally retired Betts with a strikeout. Yet, a Benintendi double to right made it second and third with one out and an intentional walk to Martinez loaded the bases. With Lin pinch-running for Vazquez, the “real fun” started. Xander Bogaerts lifted a sacrifice fly to center, which Hicks camped under and proceeded to rocket to third base. The throw took a bad hop in front of Andujar and bounced into the netting behind the Red Sox dugout, enabling another run to score. Hicks looked like he was revving up to throw home and changed his mind at the last second but there was no reason to make the throw to third or even if he had opted to go home. The eighth inning was the crowning exclamation point. Aroldis Chapman was brought on because it would’ve made too much sense to have eased him back into the mix during a 10-1 blowout in the ninth the previous night and was creamed for a three-run homer to left by Betts. At 93-59, the Yankees play their final home series of the regular season, hosting the Baltimore Orioles for a three-game set starting Friday. Pitching probables, Yefry Ramirez vs. CC Sabathia, David Hess vs. TBD, TBA vs. TBA.